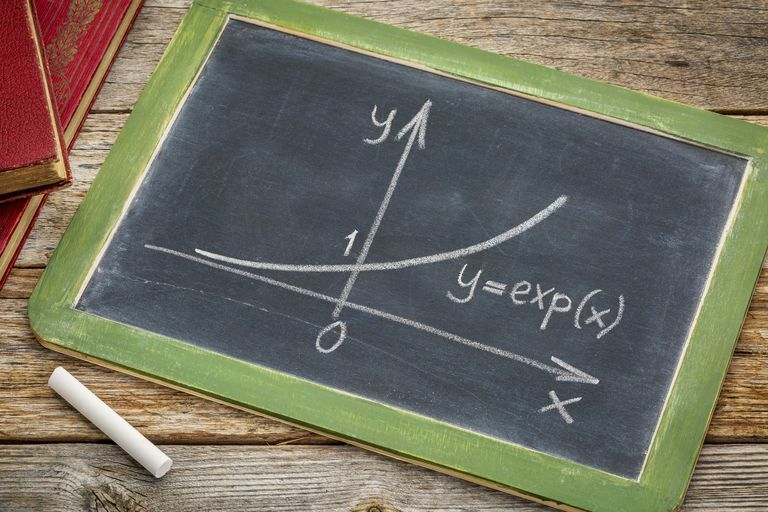 What are Exponential Growth Functions? Exponential functions tell the stories of explosive change. The two types of exponential functions are exponential growth and exponential decay. Four variables - percent change, time, the amount at the beginning of the time period, and the amount at the end of the time period - play roles in exponential functions. This article focuses on using exponential growth functions to make predictions. I regret that I was too uppity and ignorant to shop at thrift stores when I was a college student. Eighteen-year-old me thought that second-hand stores were cedar chests of musty, old clothes from a deceased person's closet. Since I was a "big time" resident advisor earning $80 a month, I just had to purchase new clothes at the mall. At step shows and talent shows and parties, the other "big time" girls were mirror images of me. Although I wasn't wearing a dead woman's dress, my festive spirit died right there on the dance floor. After I graduated and started shopping at Edloe and Co., a thrift store, I discovered high quality, unique clothes at affordable prices. Ever since the start of the Great Recession, shoppers have become more budget conscious; thrift stores are more popular than ever. Edloe and Co. relies on word of mouth advertising, the original social network. Fifty shoppers each told five people, and then each of those new shoppers told five more people, and so on. The manager recorded the growth of store shoppers. First, how do you know that this data represents exponential growth? Ask yourself two questions. Do the values demonstrate a consistent percent increase? Yes. Careful - do not confuse exponential and linear growth. Note: Linear growth means a consistent number of customers (50 shoppers a week); exponential growth means a consistent percent increase (400%) of customers. The growth factor is (1 + b). The variable, b, is percent change in decimal form. Note: Don't fill in values for x and y. 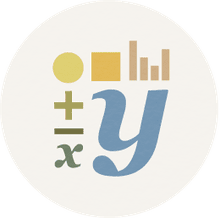 The values of x and y will change throughout the function, but the original amount and percent change will remain constant. Assume that the recession, the primary driver of shoppers to the store, persists for 24 weeks. How many weekly shoppers will the store have during the 8th week? Careful, do not double the number of shoppers in week 4 (31,250 *2 = 62,500) and believe it's the correct answer. Remember, this article is about is exponential growth, not linear growth. Prior to the start of the recession, the store's monthly revenue hovered around $800,000. A store's revenue is the total dollar amount that customers spend in the store on goods and services. Use the information about Edloe and Co's revenues to complete 1 -7. What are the original revenues? How does this data model exponential growth? Write an exponential function that describes this data. Write a function to predict revenues in the fifth month after the start of the recession. What are the revenues in the fifth month after the start of the recession? Assume that the domain of this exponential function is 16 months. In other words, assume that the recession will last for 16 months. At what point will revenues surpass 3 million dollars?